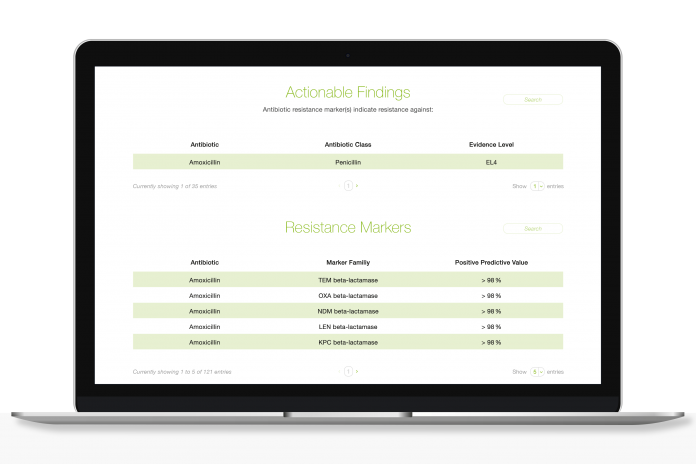 QIAGEN has acquired from Ares Genetics an exclusive license to use its ARESdb proprietary antimicrobial resistance (AMR) database, as well as bioinformatics tools and workflows from the ARES Technology Platform, called AREStools. The value of the licenses was not disclosed. The database, tools, and workflows will be integrated into QIAGEN’s bioinformatics products and services for researchers, with the goal of accelerating research into AMR global health challenges posed by antibiotic-resistant bacteria. According to Ares, a subsidiary of Curetis, ARESbd is a comprehensive, global and continuously-updated proprietary knowledge base focused on genetic antibiotic resistance markers and their diagnostic relevance. The database combines deep whole-genome sequencing data with antibiotic resistance profiles. QIAGEN plans to integrate the ARESdb content with its CLC Genomics Workbench and build a Software-as-a-Service portal providing standardized analysis for research and enabling flexible design of assays. QIAGEN reasons that it can expand its Sample to Insight workflows by combining its current sample preparation solutions, GeneGlobe portal and dedicated bioinformatics solutions with ARESdb. QIAGEN says its solutions are designed to support basic and clinical research on a range of bacterial infections, including healthcare-associated and community-acquired infections. The company has also obtained a non-exclusive worldwide license to develop and commercialize molecular research assays using ARESdb content with QIAGEN next-generation sequencing (NGS) and polymerase chain reaction (PCR) solutions.